You may also scroll through the pictures in each listing for cheat sheets and visit our FAQs at the bottom of this page for more info. Ordering your mixtape vinyl record does require a few steps and some of your time but it is a simple and straightforward process. Please note - this process is a LOT easier with a desktop/laptop, you will not be able to submit your song files via a phone. Our turn around right now is 10 days. If you would like a rush order please send us a convo with your location and the date you need it by (domestic only). There is a $30-50 fee for rush orders. We ship by USPS Priority (2-3 day) and Express by request (cost varies). This listing is for 12” black two-sided from 16 minutes to 22 minutes per side, with a 6 song/track limit per side. 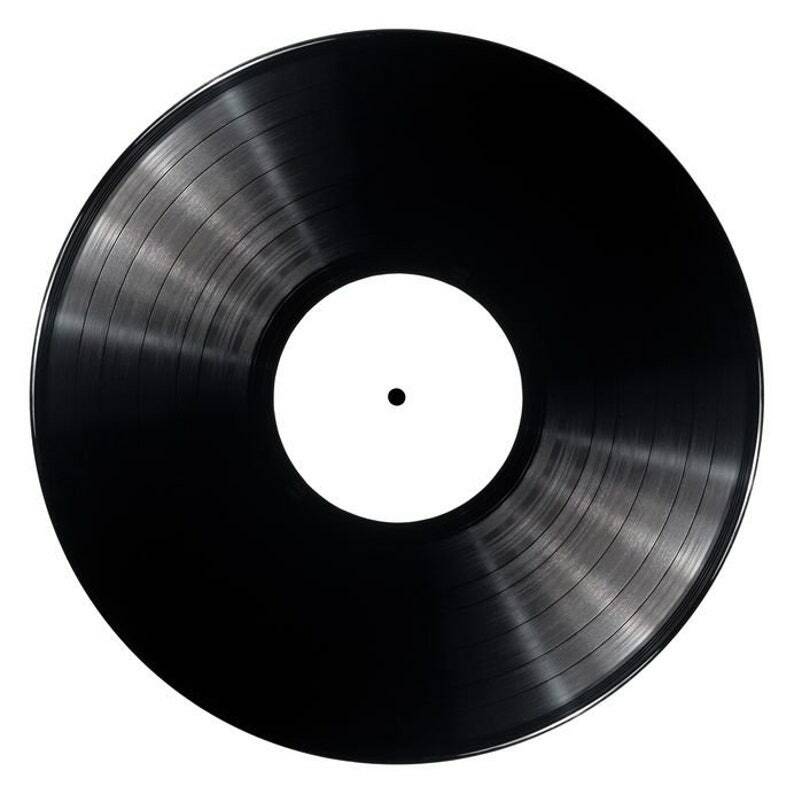 Your record ships with a plain white label and a plain jacket unless you purchase a custom label and/or a custom jacket. Custom labels and custom jackets are listed in our store. Those who purchase Custom Labels AND Custom Jackets will receive a 10% rebate on their order (given after you order). 2) Choose your vinyl size. There is a 6 song/track limit per side for 12"
PLEASE DO NOT GUESS YOUR RUNNING TIMES! Guessing can cause delays and extra charges. iTunes files are the best, they are m4a and are much better than mp3 (see FAQS for more detailed info on best file types and if you prefer for us to purchase your song files for you). Apple Music and Spotify files do not work!. Amazon, Google files, mp3s are ok but not recommended. You must own a legal copy of your song files and not be over your copy-limit on any of your song files. When in doubt, please purchase new song files. * Or ask us to purchase them for you (see FAQs). 3) After you order, the receipt has the directions on how to send us your song files as well as our Dropbox link. If you are ordering a custom label and/or jacket please send us the art + all text and description (using one of our samples as a reference) here on ETSY in the convos. DIY labels should be sent with your folder to Dropbox. You will also be given a link to our Hot Sheet where you can check on the status of your order at any time. You may order right away and save a spot in the queue. This is recommended if you are not yet clear on your playlist but want your record inside of two weeks. (We will refund you any difference if your playlist ends up shorter than the 18 or 21 minute window and bill you if it is over). We will need your song files at least 4-5 days before your shipping date (up to one year). If you love vinyl AND lived through the days of home made mixed cassette tapes. This store is your spot! Their work and customer service is above par. They outdo themselves. Every. Time. Great shop to work with. Very responsive and the instructions on sending the songs over were very easy to follow. Looking forward to purchasing another record in the future!